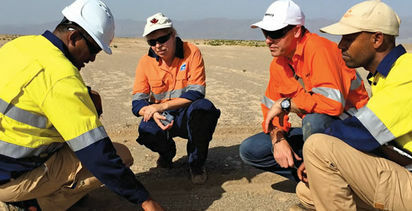 An improving macro backdrop in Eritrea is proving timely for emerging developer Danakali (ASX: DNK) as it seals an offtake deal for its 200-year Colluli premium potash project and lists on the London Stock Exchange. 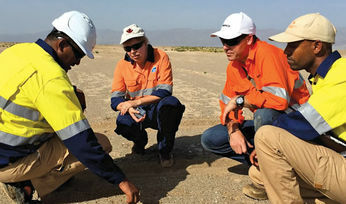 Danakali has been working with its 50% joint venture partner, state-owned Eritrean National Mining Corporation, to progressively de-risk the 1.1 billion tonne sulphate of potash project in the Danakil basin. It was granted a mining licence in 2017, completed a front end engineering design earlier this year and last month signed a take-or-pay offtake agreement for up to 100% of Module One SOP production for the first decade with leading fertiliser company EuroChem Group. The agreement was a first for EuroChem in Africa and goes a long way towards addressing the two key areas Danakali has often been questioned about, namely funding and geopolitical risk. "The agreement with EuroChem is de-risking Colluli, cashflow and the country in our view," executive chairman Seamus Cornelius told MiningNews.net. "It's effectively putting a stamp of approval on Eritrea as a jurisdiction for mining as well." In a further positive development, Eritrea and its larger neighbour Ethiopia declared an end to their long-running "state of war" at an historic meeting this month and agreed to re-establish diplomatic, economic and communication links. "With these developments, much of the negative noise will effectively cease because all of that stemmed from the dispute with Ethiopia," Cornelius said. "It'll be the first time in a long time that we'll have a fair wind pushing us forward on that front." Cornelius is also hopeful that the end of the dispute could help bolster the case for a closer port to Colluli. 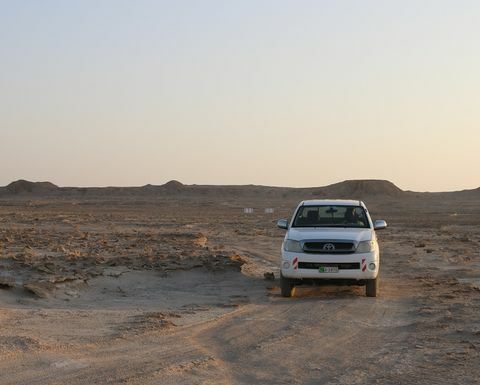 The project lies 75km from the Red Sea coast and the possibility of a new port was identified in a 2015 prefeasibility study. 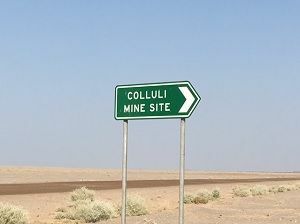 "Bear in mind how significant Colluli is to Eritrea and its development, and the significance to us and the project of having our own export facility closer to the mine than Massawa (230km away)," Cornelius said. "I think with what's going on in Eritrea and Ethiopia, I wouldn't be surprised if there were some other important positive surprises that come out of this. "People less optimistic than me wouldn't have even been hopeful six months ago, but I think even pessimists can look at the environment today and imagine that those things are now very possible." Danakali is opening up to new investors through its strategic objective of listing on the LSE Main Board, expected to take place this week. "It's a larger pool of capital, widely recognised as a better jurisdiction for funding African projects, and we represent a strong asset and unique exposure," Cornelius said. "We are, in our view, the most advanced project in the primary production supply equation for SOP - we're the only SOP company that has completed a FEED and of those who've completed a DFS, we believe we beat them on almost every metric including simplicity and cost. "The outstanding, best-in-class nature of the Colluli project is starting to be internationally recognised," Cornelius added. 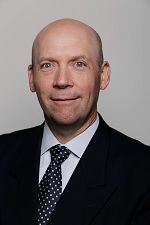 He said growing awareness was also helping attract high-calibre candidates for the CEO role, with Danny Goeman set to take up a new opportunity having successfully led the offtake negotiations. "We had an excellent series of engagements through the offtake discussions," Cornelius said. "We chose EuroChem and we had choices, and the same is happening with the CEO candidates. "I am confident we are going to find someone who is experienced, credible and suitable for the role." Looking closer at Colluli, its reserve of SOP alone will support a near-200 year mine life at an average production rate of 944,000 tonnes per annum. "The growth potential is extraordinary," head of corporate development Will Sandover notes. "Given open-cut mining and the favourable mineralisation characteristics, there are clear opportunities for expansion." A "waste" by-product - a rock salt resource - has not been factored into the FEED, nor has Colluli's ability to produce SOP-Magnesia, kieserite, the more common muriate of potash (MOP) and gypsum. Danakali has opted to focus on Colluli's SOP for the premium it commands over MOP, the shortage of primary resources and its forecast growth in demand, as the world's growing population requires more food from less available arable land. SOP is seeing an increased demand from premium crops, including berries, coffee and tea, some of which are sensitive to the chloride in MOP. 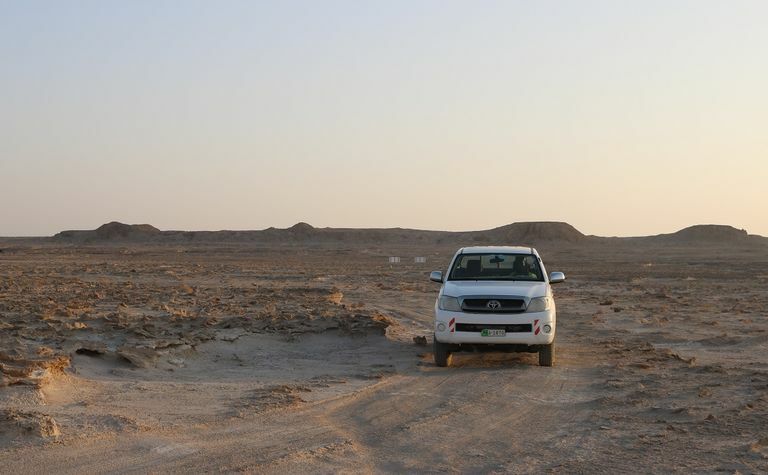 Colluli is on the doorstep of growing markets and the resource itself is within 16m of surface and in solid salt as opposed to brine form, reducing the project's environmental footprint and the time-lag between mining and cashflow. The company has modelled the development on a scalable, staged production starting with 472,000tpa SOP in Module I, building to 944,000tpa in Module II. The FEED study, with an operating and capital cost accuracy level of ±10%, put initial capex at US$302 million and the internal rate of return at 29.9% for Modules I and II. "We've taken care to make the development the right size and a realistic funding requirement for a single asset junior miner entering the SOP market," Sandover said. 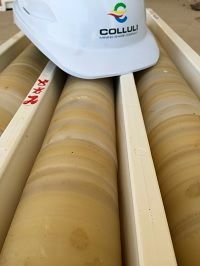 "There is the opportunity to really open it up but we want to take the initial steps, de-risk it, get cashflow, and then we can consider further SOP expansion, potash diversification and multi-commodity options." "On the project execution front, I'd love to have commenced development before the end of the year, be able to show the potential of the project and give our shareholders further valuation uplift," Cornelius said. Danakali's shares on the ASX jumped 18 months ago and have remained around double the levels seen in 2016 as the Colluli project progresses. "I think our LSE listing will be seen as an event that shows we're in a really good position in terms of our funding and with more eyes on the story in the UK it will breed some momentum," Cornelius said. "Also, the events in Eritrea and Ethiopia we see as a massive positive and judging by recent trading, the market is starting to pay attention. "It will change people's perceptions of what it's like to do business in Eritrea." Cornelius reiterated the company's strong relationship with its joint venture partner, noting ENAMCO is run by experienced mining executives who have seen discovery, development, expansion and M&A activity in the country's mining industry. He also referred to strong community engagement and tremendous support from government departments. "They all know how important this project is and want to support us within the framework of doing their job," he said. "Certainly in our experience, it would be hard to imagine a better jurisdiction to work in." With the LSE listing, offtake agreement and Ethiopia-Eritrea developments, Cornelius reiterated Danakali now found itself in geopolitically fertile ground to take the outstanding potash project forward.